Daily Debate: Is the Master Cycle Zero a Step Too Far For The Legend of Zelda? Much ado has been made in the Zelda community regarding the new Master Cycle Zero in The Champions’ Ballad. Link’s new motorcycle definitely made an impression when it was first unveiled, and a handful of fans have so far shared about how fun it is to ride the thing around. But as the latest DLC pack adds a vehicle so similar to something we’d see in modern society, some fans have begun to question whether or not the Zelda series has moved too far away from its fantasy roots. For at least two decades, the Zelda series has incorporated some degree of science and technology. The Hookshot is one of the earliest examples I can think of. However, as much as the franchise has leaned on certain forms of technology, it has always been in a practical, old-world kind of way. The clocks of Majora’s Mask are built from visible gears, the explosives of Twilight Princess appear to work from wicks and gun powder, and the trains of Spirit Tracks clearly run on steam. Even the series’ profoundest ventures into technological themes — such as Skyward Sword‘s Ancient Robots and Breath of the Wild‘s Guardians — appear equal parts magical and mechanical; and it definitely helps that they don’t look like objects that exist in our real world. The Master Cycle Zero is far and beyond the most technologically pronounced Zelda item we’ve ever seen. Rather than a basis in antiquity, or in an early modern period like the Renaissance, or even in a fantasy subgenre like steampunk, the Master Cycle Zero is based on an innovation dating back to just over a century ago. That might be pushing it for some fans. A few Zelda Dungeon commenters have already expressed concern over the cycle’s inclusion in Breath of the Wild, as it too closely resembles something from modern society, no matter how many glowing lights ordain its chassis. When players jump into The Legend of Zelda, they may not want to be reminded of the world of today. 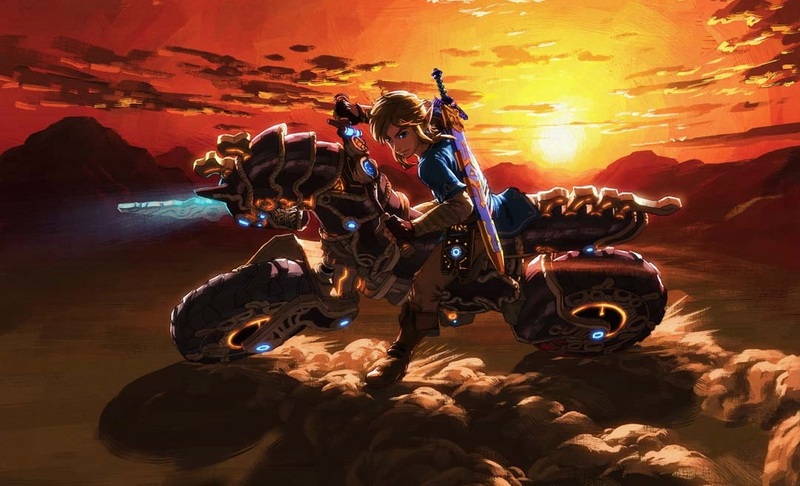 On the other hand, some fans have shown excitement for Link’s new motorbike, as it, like Aonuma has said, adds a degree of fun and freedom that didn’t exist before. Plus, as bonus item from a DLC expansion, it doesn’t have to be taken all that seriously. Where do you stand on the Master Cycle Zero? Do you think it strays too far from the fantasy elements the series was built on? Or do want to see the franchise explore science and technology even more? Join the debate in the comments below.